If you’ve ever built a custom home in the past or you’re about to jump into the exciting, but sometimes overwhelming process, you already know how many big design decisions will need to be made before you’re sitting comfortably in your new custom living room in front of the big screen. And if your Cincinnati custom home builder still hasn’t spoken with you about the pros and cons of various natural stone options for your new kitchen countertops, you’ll definitely want to stick around through the end of this week’s article. Ready for a new home now? No worries! Robert Lucke Homes are available and ready for occupancy in prestigious neighborhoods throughout Cincinnati. Providing you with the best home is our top priority, followed by making sure that the entire process is as convenient as possible. Our customer service goes to great lengths to ease your concerns beginning with a courteous discussion of your homebuying needs. This process enables us to effectively assist you in finding the ideal location to call home. We don't just build custom and luxury homes. Robert Lucke Group is also a leading remodeling contractor in Cincinnati. We can bring our homebuilding experience into your existing home and renovate it with a second story addition, a room addition, or even a complete remodel. When your family builds, YOU SAVE! Welcome to the Country Club Lifestyle! Latest updates from The Villages At Four Bridges -- Liberty Township's most popular lifestyle home community for empty nesters. Ask us how YOU can receive your $599! Value. Quality. Customization. Luxury. Your checklist in a home is as unique as you are. Whether your choices are based on unlimited desire or limited by a specific budget, we can build the perfect home for you. And while we offer a limitless number of custom floor plans, we are aware that you may not find the dream home you are looking for in an existing layout. That is why we will customize any of our plans, build a plan you already have, or design a unique home from "scratch", just for you. What's important to you is important to us. In our 66 years of business, one thing has never changed - our custom home designs have always been identified by absolute quality and elegance. Our expertly designed homes have been showcased in Greater Cincinnati's HOMEARAMA® event for over 43 years. Creating the custom home of your dreams requires a tremendous amount of forethought and effort, but we are your source of what's new, next and proven. 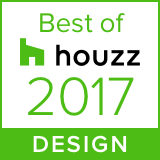 We never build the same floor plan twice – come see why our award-winning designs are a testament to our commitment to excellence. Custom remodeling projects require more than just the necessary tools and a great design, they require a cohesive team of experts to work with you on every aspect of your project. Robert Lucke Remodeling is dedicated to creating a positive remodeling experience for each and every client. We will do all that is within our means to insure every customers project becomes a harmonious blend of old and new. Our passion for excellence is born from a desire "to make each client a customer for life". You recycle. You combine errands into one trip to conserve gas and impact on the environment. It's all about going "green". At Robert Lucke Homes, we value our environment as much as you do. By incorporating energy efficient and high performance home options, our custom homes offer ENERGY STAR certification, lower utility costs and more comfortable/quieter home environments. Aside from attending an actual open house, 3D virtual tours have become the next best way to “walk” through a custom home. Thanks to this amazing technology (powered by MatterPort®), you are now able to take a firsthand look at the interior of some of Lucke's most impressive luxury estates. Experience the overall feel, layout and features of a particular home or custom floor plan before you ever build. Check back with us periodically, as we begin to upload additional 3D tours. Enjoy!